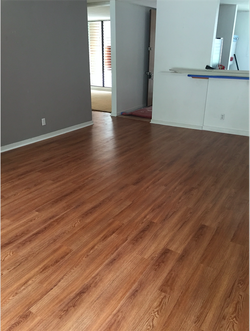 With luxury vinyl floors, you have many options available such as; plank, tile, or sheet vinyl. You can opt for a high-end look without a high-end price tag. 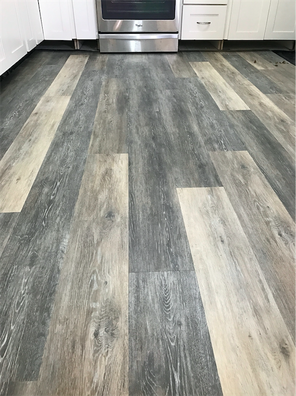 With the wide selection of hardwood and stone looks, you can give any room, a bathroom, utility room, or exercise room, the up grade it deserves. Luxury vinyl is soft and keeps a constant temperature in all seasons, so it's comfortable to walk on at all times. It can even ease long periods of standing, making it a great option for the kitchen. Luxury vinyl boasts outstanding performance. It withstands spills, scuffs, and scratches from pets. 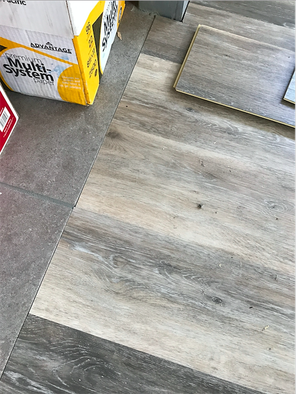 Luxury vinyl's tight, waterproof fit, and resilient surface makes for easy clean-ups that won’t damage your subfloors.